The Hana Crater tour departs, as do all flights, from the heliport at the Kahului Airport. It winds its way up to the top of the crater at 10,000 ft. Here you'll be looking down at the crater which descends 3000 ft and is 21 miles in circumference. It is so large in fact that the analogy is often used that you can take the entire island of Manhattan and fit it within the boundaries of Haleakala Crater. The landscape there is strikingly stark in its beauty and looks almost like the surface of the moon. From there you'll move onward to some of the most remote valleys on the island with huge waterfalls and steep drop-offs and finally wind your way into the region of the Oheo Gulch and Hana. From this vantage point you'll be looking down upon triple-canopy rainforests with enormous brilliantly colored African Tulip trees, waterfalls, pools, streams and rugged forest. The Hana Coastline from the air is one of the most beautiful to be found anywhere on the planet, in fact this was the backdrop for much of the footage that was seen on the movie Jurassic Park. The second major flight of the island is the Circle Island flight which encompasses the exact same flight as the 45 min Crater/Hana tour but also includes the spectacular West Maui Mountains as well. The West Maui Mountains are a completely different animal then is Haleakala. While Haleakala is considered a dormant volcano that is just at the apex of its growth stage the West Maui's have been extinct for over a million years. They are also the home of the second wettest spot on Earth. The peak of Puu Kukui. The rainfall here is about 370 inches a year and the combination of so much rainfall falling upon such an old lava surface has carved huge valleys and cliffs in the interior. From the top at Puu Kukui there are razor sharp ridges that sculpt their way to the coast. On either side of the upper ridges the sheer walls that have been carved descend literally thousands of feet down to the valleys below. And there are waterfalls everywhere. One particular area we call the "wall of tears" has perhaps 15 to 35 waterfalls all happening at once depending on the rainfall from the previous hours. Though this area is only about 4 miles as a crow flies to the towns of Lahaina, Kaanapali or Wailuku it is so remote that you will not see a road, a town or a person in sight. In fact it is so primordial that the only thing you might expect to see would be a dinosaur. If this is one of your first trips to Maui, this might be the best Maui helicopter ride for you to go on since you'll really have a good understanding of the lay of the land and you'll be able to go back and visit the places you were most attracted to. The West Maui and Molokai helicopter tours are considered by some Maui helicopter pilots to be the very best of all, although there are both positives and negatives regarding these 60 minute flights. Positives include the fact that the regions to be seen on Molokai are spectacular. The northern coastline of Molokai is famous for having the largest waterfalls descending from cliffs into the sea of anyplace in the world. It is also the home of the historic and extremely picturesque Kalaupapa Peninsula which is the home the famous Father Damien's Leper Colony. 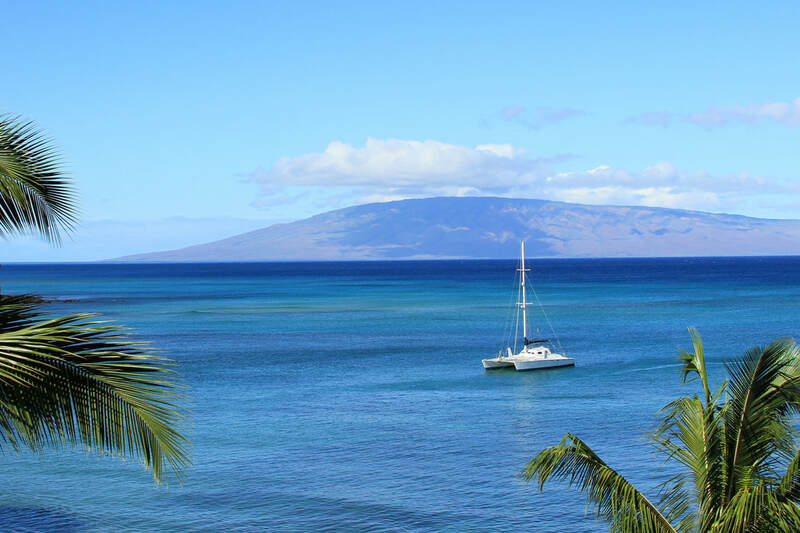 The views to be seen on Molokai are considered by many as "payback" for what could be considered the one negative on this tour which is the fact that you need to travel about eight minutes or so across the channel from Maui to Molokai each way in order to get there and back. Although the waters can be beautiful during the winter months and can offer spectacular views of the Humpback Whales, it is generally more interesting to spend your time flying over the beautiful scenery to be seen on the islands themselves rather than ocean.